Mom’s…they’re the best aren’t they? They carry you for 9 months, they bandage up your skinned knees, they sew your Halloween costumes, they help with college admissions, they’re always there to give you life advice, and if you’re lucky, they give you a job too. In 1979, Carol’s Cookies was born as a hobby out of Carol’s home kitchen, and she sold her first cookie at a local fitness center. And in 1998, with dozens of upscale clients all over the United States and a growing Cookie Gift Tin delivery demand, she hired on her son Jeff shortly after he graduated from Tulane University. Despite spending decades raising your child, it’s not always a realistic expectation that a mother-child team will excel in workplace. 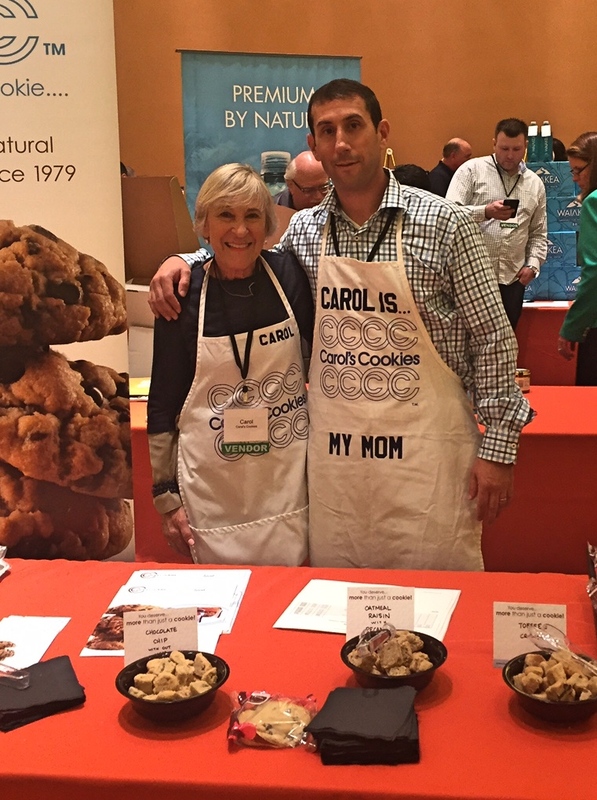 But, Carol and Jeff both prioritize a handmade product, upholding family values and customer service, and, of course, keeping Carol’s Cookies’ recipe a secret. How did it come about that Jeff came to work in the cookie biz? After he graduated from college and moved back home, I needed help during the fourth quarter when it gets busy. We were so small, five or six employees…and it was all women, no men. There was a lot of manual labor to do so I knew we could use his help. Is Jeff more like you, or your husband? Jeff is a mix of both of us. He has my husband’s business sense and is tough when he needs to be. But, he also is very generous and treats everyone as if they are family…that’s from me. We both have obsessive work ethics…so he is always working. Sorry, Jeff. When you started 38 years ago out of your home kitchen, would you ever imagine you’d be working with your son? I never thought I would still be working, but I have so much fun. I never even imagined Jeff entering the business, but if he didn’t join me, we wouldn’t be coast-to-coast like we are today…or making over 6-million handmade cookies a year either! How do you and Jeff compliment each other’s work styles at the bakery? Good cop, bad cop. Guess which is which… J Let’s just say, we keep each other in line. What’s the best part about working with your son? Being together on a daily basis and doing what we love…makes it less of a job and allows me to enjoy it more. And we wanted to ask Jeff…. What are you most proud of your mother for? Putting a smile on her face every day no matter what….and being sweet to every person she meets. It’s not easy, but she’s the master at it. 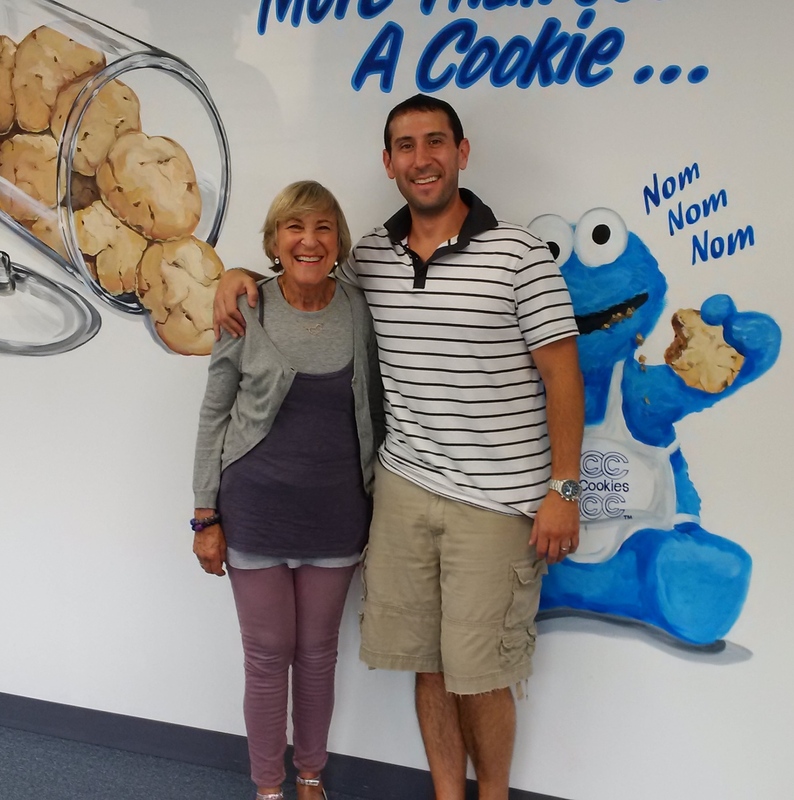 Did you ever imagine you’d be working with your mom in a national cookie business? Never. But looking back, I always found it easy to sell these handmade cookies because the passion was instilled in me at a very young age. Starting in elementary school, I would steal cookies from the freezer at home and sell them out of my locker. Kids used to line up. I even found buyers for the raw dough! It was a natural fit for me when she asked me to help her during the holidays. What’s the best part about working with your mom? Watching the reaction of people at demos or at shows when they realize it’s the real Carol. She’s a rock star. I never get tired of that. Oh, and she’s the best boss anybody could ever ask for. Watching her in action every day is inspiring and I’m lucky to have the opportunity to be with her every day. Whether your mom gave you life, or perhaps a job…. there’s a lot to be thankful for the mothers in our lives. Why not show your mom you’re thinking of her and grateful for all she’s done for you this Mother’s Day? And, who knows what a mom wants more than a mom like Carol? Order the perfect gift for your mom, homemade by a mom, right HERE and receive 15% with promo code: CookiesForMom17. Be sure to order by 1pm CST on May 10th in order to guarantee delivery for Mother’s Day. Posted in Carol & Her Cookies, Cookie Blog, Gift Ideas, Holidays & Seasons.